It's the bottom of the 9th, the Rockies are down by one point with 2 outs. Bullets of sweat stream down as the team looks to the rookie who is up to bat. At this point, he's either going to end the game by striking out or by miraculously hitting a home run on a speedy fast ball from the best pitcher in the nation. 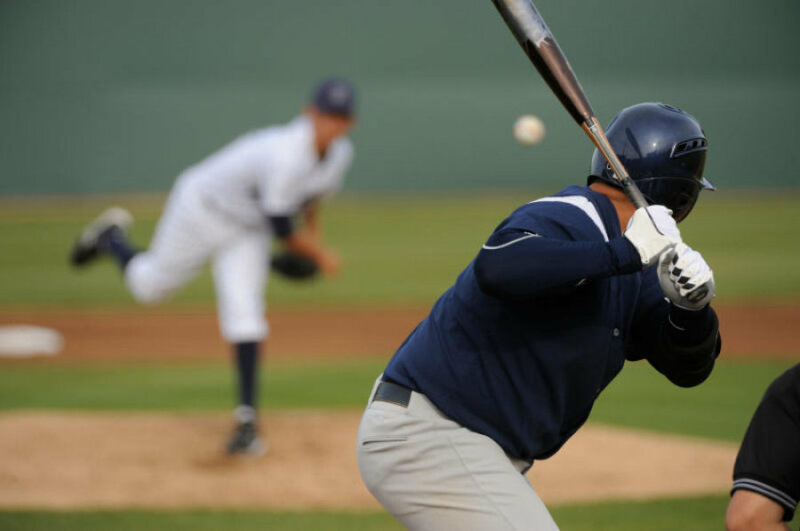 The preferred way to win would be to hit the home run, but the likely outcome would be striking out. Now, imagine you're the batter, only you're batting up against a pitcher called, "the flesh". He's going to throw some tempting pitches your way to hit: sexual immorality, impurity, depravity, idolatry, sorcery, hostilities, strife, jealousy, outbursts of anger, selfish rivalries, dissensions, factions, envying, murder, drunkenness, carousing, and similar things. Your guide, the Holy Spirit, will let you know what kind of pitch the pitcher is going to throw at you, but it's your responsibility to listen and go after that ball according to what the Spirit says. If that pitcher is gonna throw a curveball you can't hit, wait until an opportune time. No worries, he'll throw that 'anger ball' again and you'll knock it out of the park. It'll be a fast ball, right down the middle. The first step in coming against sin is to tune our ears and hearts to God's Spirit, seeking Him and responding to His guidance. He knows our flesh better than we do, and can prepare us for what's coming and also how to face it: Fighting it or running from it. There are times when you'll think you can go after the pitch and win, like Samson, but you end up failing instead because of an attractive chick like Delilah (see Judges 16:4-31). As in the case of Joseph's temptation to sleep with Pharaoh's wife, Potiphar in Genesis 39, he knew what he had to do: run! He couldn't hit that ball, he had to let it go by and run out of there. There are times when you'll need to do that with temptation. You won't feel like you're fighting it, but you are winning simply by avoiding it, by not going after the 'lust pitch'. "See what sort of love the Father has given to us: that we should be called God’s children—and indeed we are! For this reason the world does not know us: because it did not know him. Dear friends, we are God’s children now, and what we will be has not yet been revealed. We know that whenever it is revealed we will be like him, because we will see him just as he is. And everyone who has this hope focused on him purifies himself, just as Jesus is pure." So what is the true antidote for purifying us from sin? Keeping our hope and our focus on Jesus! When you're in the ballpark against the flesh, you're focused on facing the flesh, when in reality, you've been empowered to fight against the flesh by focusing on Jesus! Here's what happens when your hope is in Him: Instead of being given over to sexual immorality, your affection for Christ will be so much greater than it so that it fades to nothing! Instead of impurity, you'll become pure in Christ. Your depravity changes into righteousness through Christ. Christ becomes your only 'idol'. God answering prayer trumps any self-help you can do solely in your own strength. Division with friends over petty matters disintegrates into nothing, and anger flees. Revenge is unneeded as you acknowledge the truth that God will judge all through Christ. Drunkenness becomes unneeded after being filled by God's Spirit. So go up to bat with your eyes on Christ and your ears and heart tuned to the Spirit of God through God's Word, and you'll know when to wait and when to swing against the pitcher of the flesh.